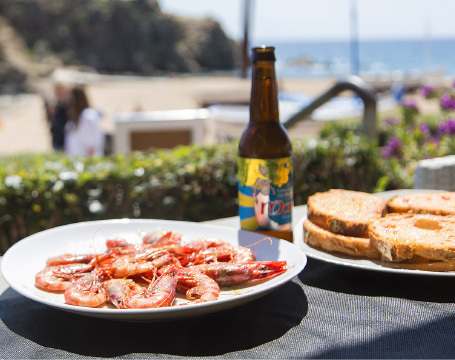 In Blanes, we live towards the Mediterranean Sea. We were born in this enjoyable place which identifies us. 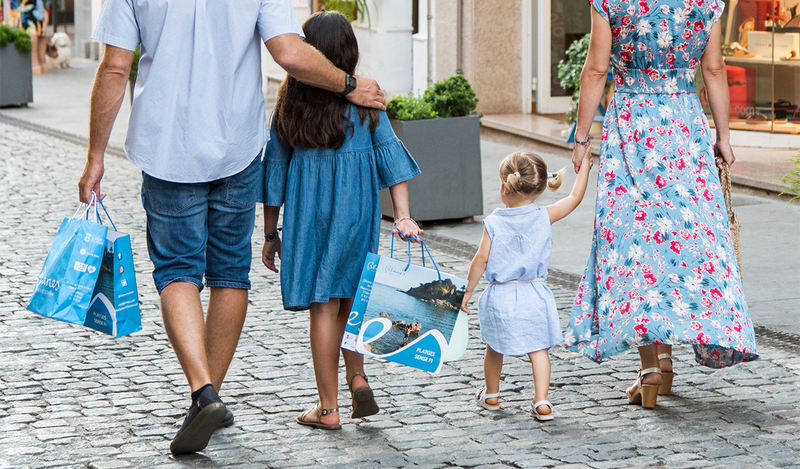 We are lucky to be living here, so we want that our visitors feel at home while having a great time of holidays in Blanes. 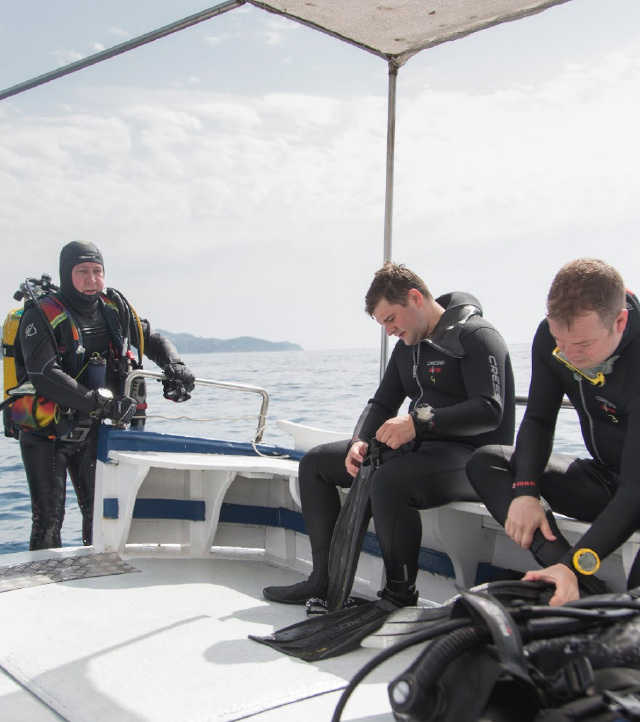 There are 4 kilometres of famous small coves and large beaches where you can find all you need to spend a pleasant day and do many kinds of water and sand sports. Several restaurants and life guard stations are open during the bathing season. It is situated at the northernmost point of the city. Small but unique. 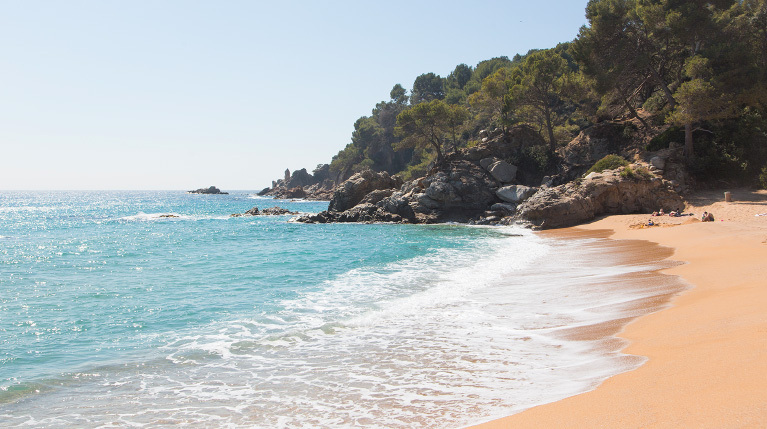 A beach surrounded by pines. It is ideal for families due to its dimensions and facilities. 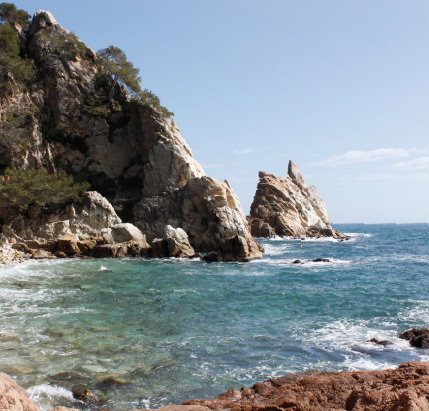 It is also known as Cala Bona. 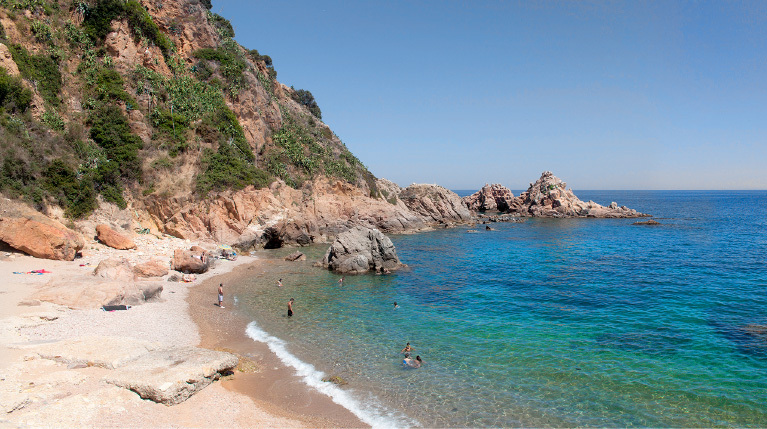 A small beach situated behind the Blanes port and below the Blanes Convent. 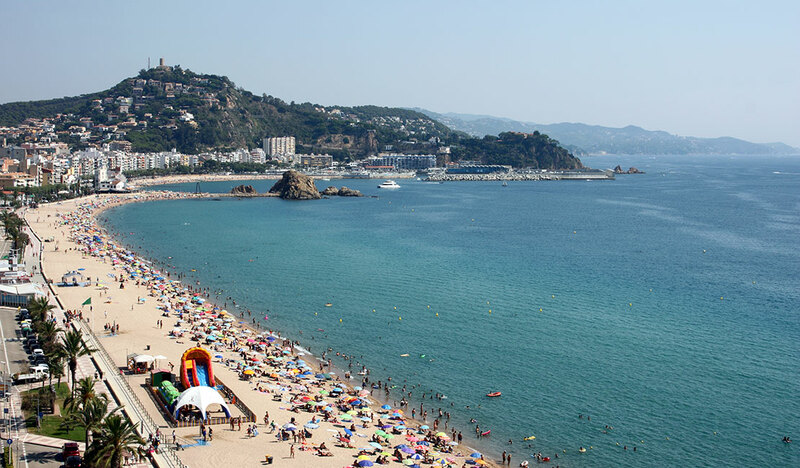 A beach situated in the center of the town next to the port and to the right of Sa Palomera. It’s the physical beginning of the Costa Brava. 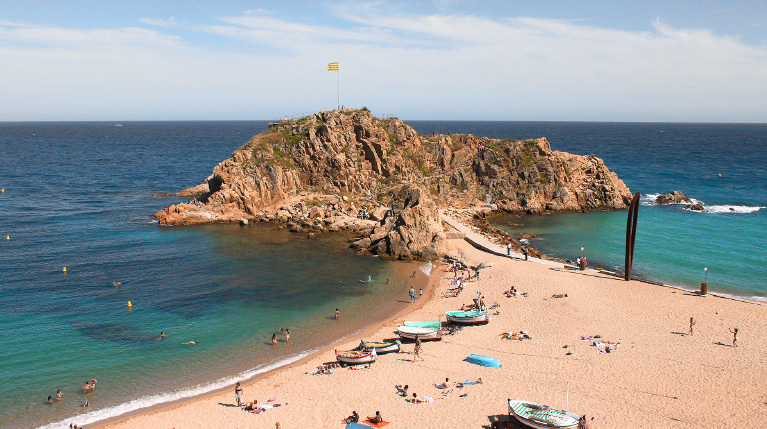 The beaches of Blanes have been awarded by ONCE Foundation with a certificate for the suppression of architectural barriers and attention to people with special needs. 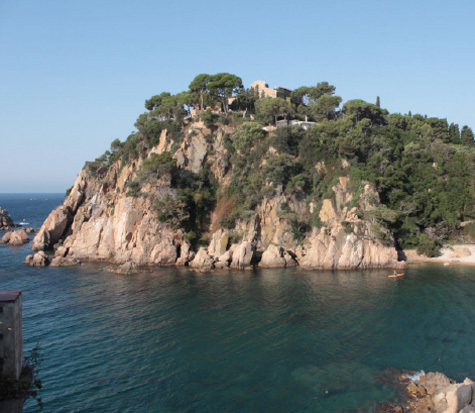 Known as the symbol of the city and located between the beaches of Blanes and s’Abanell, this rock is the beginning of La Costa Brava. 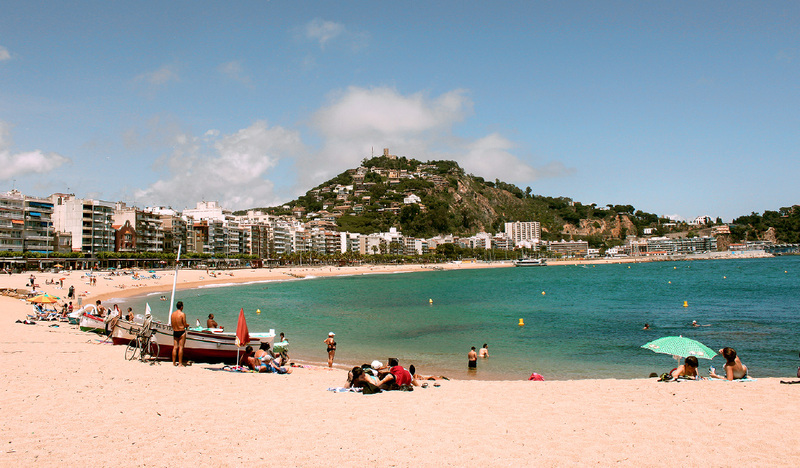 This is the largest Blanes beach, situated on the left side of the Sa Palomera rock. 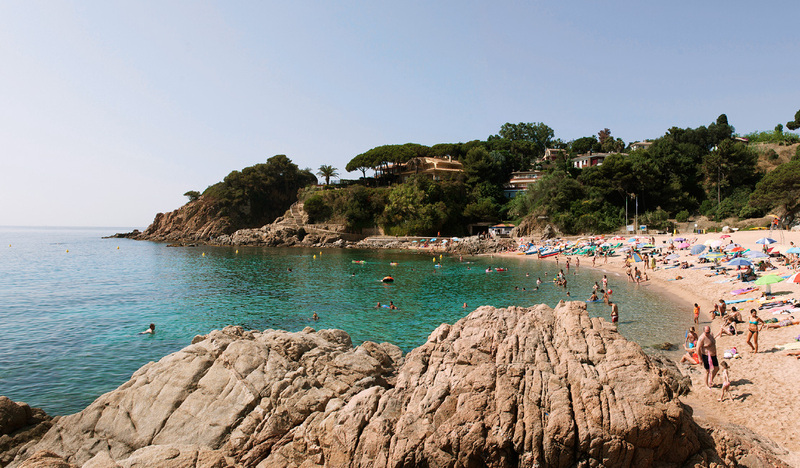 AND NOW TO FINISH WITH, WE WILL EXPLAIN TWO LITTLE SECRETS, two symbols of our city: la Cala sa Forcanera, with white sand and only accessible from the sea and Cala s’Agüia, a very small beach that consists of more pebbles than sand and accessible by boat and also on foot.